Elvira is joining to us with over 20 years of customer and clinical experience. Enthusiastic and personable, her passion is to contribute, support, and make your every visit a pleasant and worry free experience. Elvira truly enjoys her job, and the opportunity to meet so many great people. Mercedes is a new addition to the Synergy Massage team. She has over 10 years experience in customer service and has worked in a variety of medical settings. In 2015, Mercedes completed Pre Health Sciences at Fanshawe College and continued on to become an Orthopaedic Technician with an Honours diploma. After graduating, Mercedes was interested in expanding her administrative knowledge and since then has been working with therapists to create an exceptional experience for their client. She is passionate about learning and always striving to create the best visit possible. Mercedes is always happy to answer any questions you may have and is very excited to be part of the Synergy team! Ali is a registered massage therapist in good standing the the College of Massage Therapists of Ontario. In 2014, Ali graduated from Western with an Honours Bachelor of Arts in Kinesiology. There, she took courses in Anatomy, Physiology, Biomechanics, which spiked her interest in the human body. In 2016, she began the two year accelerated Massage Therapy program at Fanshawe College which she completed in June of 2018. Ali is passionate about helping others and is hoping to use her knowledge from both modalities to be able to integrate and implement an effective treatment plan for her clients. Lyndsay Hasilo is a Registered Massage Therapist in good standing with the College of Massage Therapists of Ontario (CMTO). Lyndsay’s journey in health care began at Western University where she successfully completed her Bachelor of Arts with Honors in Kinesiology in 2014. Wanting to expand her knowledge and interest in human anatomy, physiology and biomechanics, Lyndsay attended Westervelt College and graduated with President’s Honor in the Massage Therapy Program. Through the outreaches and student massage clinics at school, Lyndsay was able to identify her love for therapeutic and rehabilitative massages. Those experiences exposed her to a variety of conditions and ailments with a very diverse clientele. She views massage therapy as not only restorative, but also preventative. Your first appointment with Lyndsay will include an interview and assessment where, together, you will come up with an effective treatment plan. During a massage Lyndsay uses a variety of techniques, including but not limited to Swedish, deep tissue, stretching, fascial work, and trigger point therapy. After the massage is complete, Lyndsay will provide you with homecare (hydrotherapy, stretches, exercises, etc. ), which will aid in the effectiveness of the treatment. Lyndsay truly enjoys being a part of her client’s journey to health, and witnessing their progress throughout their treatment plan. She believes in client-based and personalized care. Hajar is a registered massage therapist in good standing with College of Massage Therapist of Ontario. In year 2006 she completed a major in Biology at Carleton University, Ottawa, ON, and graduated with an Honours Bachelor of Science. Years after her graduation, her long lasting interest in human anatomy and physiology has driven her to pursue a career in massage therapy. Hajar returned to school at Fanshawe College and graduated from accelerated program with GPA average of 3.9. She is also a member of the Registered Massage Therapist Association of Ontario. Hajar’s expertise includes myofascial release, soft tissue manipulation,joint mobilization and trigger point therapy. Hajar is also certified in Cupping therapy and Kinesiology taping which will provide another effective treatment options for her patients in conjunction with massage therapy treatment. Hajar has treated clients with low back pain, neck pain, TMJ dysfunction, tension headaches, elbow and rotator cuff tendonitis, knee pain, and repetitive Strain Injuries. Having a background in both Massage Therapy (biomechanic) and Science (biotensegrity) enables her to have a better understanding of treating the body as a whole. A session with Hajar starts with an interview and assessment, then hands-on treatment and ends with homecare exercises/stretches. She helps each client with personalized care. She loves photography and enjoys reading Rumi poems. She believes in making a difference! Courtland is a registered massage therapist in good standing with the College of Massage Therapists. In 2005, he attended Western University to pursue his interest in the human body completing courses in anatomy, biology, physiology and biomechanics. He later enrolled at Westervelt College and graduated from the accelerated massage therapy program with a President’s Honour Roll diploma. 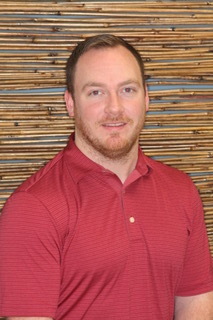 Courtland is passionate about incorporating a variety of massage techniques individualized to each of his clients. He works with you to identify areas of concern and find relief. From everyday tension and muscle aches to chronic pain and neurological disorders, Courtland is capable of meeting your needs by integrating deep tissue and relaxational massages, trigger point therapy, preventative and rehabilitative treatments. Paulo is a registered massage therapist who obtained an advanced Massage Therapy diploma from Lambton College and a Massage & Hydrotherapy diploma from Canadian College of Health Science and Tech. He excels at communication with clients and then formulating a treatment plan to the needs of the client. Paulo also has experience working overseas providing relaxation and rehabilitative massage treatments during athletic events, clinical settings and teaching Taekwondo. As a 2nd degree black belt in Taekwondo, he has become a certified Taekwondo instructor. While competing in Taekwondo he was introduced to the massage therapy profession through registered massage therapist that attended tournament events. While overseas, Paulo took the time to improve his education with hot stone massage training and Indian head massage training. Now, Paulo has join the Synergy health team to provide safe and effective health care to the public. Whether a client wishes to destress and receive relaxation massage or issues that are stopping you from doing your job or daily routine properly, Paulo will do his upmost to achieve the desired results the client is hoping for.